Reference: Joel Bleifuss, ‘Covering the Earth with “Green PR”’, PR Watch, Vol. 2, No. 1 (1995) , pp. 4-5. 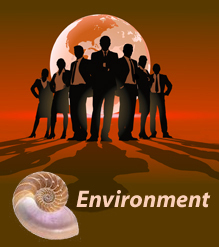 During the late 1980s and 1990s public relations firms increasingly turned their attention to environmental affairs. Environmental public relations, or ‘greenwash’, dates back to the 1960s. 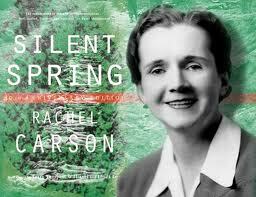 When Rachel Carson’s Silent Spring was published in 1962, Monsanto responded by distributing its own publication The Desolate Year, which was a parody of Carson’s book, to assorted media outlets. Velsicol Chemical Company, manufacturer of DDT, sued Carson’s publisher and Bruce Harrison, now owner of a major environmental PR firm with clients such as Monsanto and Dow Chemicals, helped distribute thousands of damning book reviews on behalf of the Agricultural Chemical Association. Reference: Joel Bleifuss, ‘Covering the Earth with “Green PR”’, PR Watch, Vol. 2, No. 1 (1995); John C Stauber and Sheldon Rampton, ‘“Democracy” For Hire: Public Relations and Environmental Movements’, The Ecologist, Vol. 25, No. 5 (1995) , p. 173; James Ridgeway, ‘Greenwashing Earth Day’, Village Voice, 25 April 1995 , p. 15. By 1990 US firms were spending about $500 million a year on public relations advice on how to green their own image and deal with environmental opposition. By 1995 that figure had doubled to about $1 billion per year on environmental public relations activities. The top fifteen environmental PR firms collected about $90 million in fees in 1993 for their environmental work. Reference: Anon., ‘Environmental issues, corporate image top business concerns for ‘94’, Public Relations Journal (October 1993). A survey conducted in 1993 by the Opinion Research Corporation, which asked US executives what the key public relations challenges for 1994 would be, found that 23% of the 248 respondents named environmental issues (more than any other topic) compared with 21% who named promoting company image. Reference: Bruce Harrison, ‘Plowing new ground in environmental affairs’, Public Relations Journal (April 1991), p. 32. Bruce Harrison, who specialised in environmental PR, suggested three reasons for the rise of environmental PR. Firstly he said that “negative images of industrial accidents and environmental disasters coupled with the media’s bias toward green advocacy are shaping public perceptions.” Secondly, information about companies, including emissions data, that used to be kept secret, was legally required to be made public which can damage a corporation’s reputation. Thirdly, polls showed that three quarters of the population in the US considered themselves environmentalists and most were not prepared to trust business to protect the environment.